With the aim of protecting cows in West Bengal, the BJP has decided to give loans to farmers who own cattle under the Centre's Rashtriya Gokul Mission. The move comes at a time when incidents of gau rakshaks attacking Dalits and Muslims are being frequently reported. Prime Minister Narendra Modi has also issued stern message for those who are not protecting the cows. The Rashtriya Gokul Mission was launched by Centre in June to protect the "indigenous breed" of cows and Rs 150 crore has been allotted for the current financial year. A number of Integrated Indigenous Cattle Centres (Gokul Grams) will also be set up under the mission that will work towards improving milk productivity. 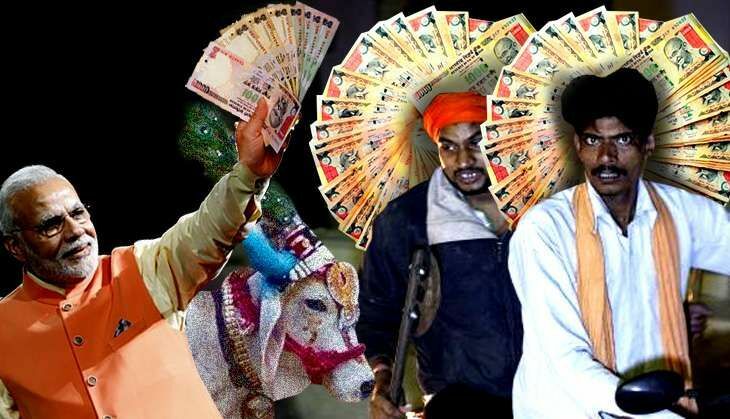 To be eligible for a Rs 3 lakh loan from a private bank - Mudra - a farmer must have two cows and at least one-and-half katha area, while to be eligible for a Rs 5 Lakh loan, farmers must have four cows and four katha area. Apart from this, NABARD will provide a 25% subsidy to general caste farmers, while for SC/ST it is a 33% subsidy. Presently, around 1,904 applications have been received from West Midnapore district. Of the 1,904 applications, 360 Muslim households have applied for the loan under the scheme. In East Midnapore, 600 applications have been submitted, while in Hooghly district around 70 applications have been submitted. In Purulia, Bankura and Birbhum, the process for collecting applications has begun. The last date to file is 15 September. State BJP leaders are quite happy with the response they are getting from every district. The Bengal president of Gau Development Cell of the state BJP Subrata Gupta says, "Our idea is to include more beneficiaries in the scheme so that they can protect the cows and at the same time improve milk productivity." State BJP leaders have roped in 6,000 volunteers in 19 districts in West Bengal to help the farmers to get loans. The volunteers are visiting households with application forms and a beneficiary (borrower) needs to give a written declaration that they would never indulge in cow slaughtering and use the loans responsibly. Mir Jahan, a 34-year-old gau rakshak from West Midnapore, has filed for a loan under the scheme. "I have signed on paper that I will not indulge in cow slaughter and I will strictly follow that. This scheme will also help me improve my business." Mayankeshwar Singh, National Convener of the Gau Development Cell, says, "The next step is to set up villages. The target is to ensure that the economy of a village should be developed based on cow produce." What is the Rashtriya Gokul Mission? The mission is a project under National Programme for Bovine Breeding and Dairy Development, with an outlay of Rs 500 crore during the 12th Five Year Plan. During 2014-15, Rs 150 crore has been allocated for development, preservation and conservation of indigenous breeds. The mission will also undertake breed improvement programme for indigenous cattle breeds to improve the genetic make-up and increase the stock; enhance milk production and productivity; upgrade nondescript cattle using elite indigenous breeds like Gir, Sahiwal, Rathi, Deoni, Tharparkar and Red Sindhi besides distributing disease-free high genetic merit bulls for natural service. The Gokul Gram will be self-sustaining and generate economic resources from sale of milk, organic manure, vermi-composting, urine distillates and production of electricity from biogas for in-house consumption and sale of animal products. It will also function as state of the art training centre for farmers and breeders.